Indian railways have been always blamed for their poor services and standards, however being the largest network of its kind. 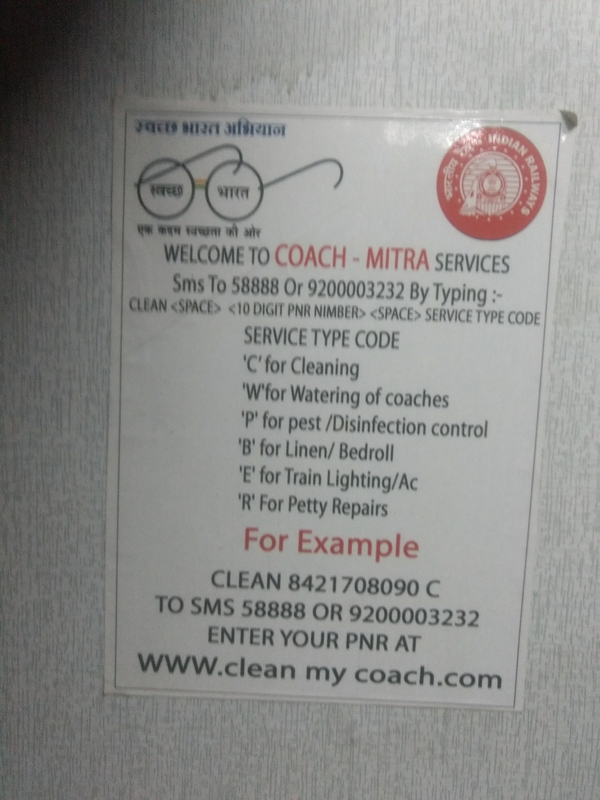 In an attempt to make the travel experience in trains a delightful one, Indian railways has introduced a cleanliness regime COACH – MITRA services via SMS or portal logging. When you travel in Indian trains, you can expect crowd, dirt, unhygienic toilets, no bedrolls, dirty floor or berths, inoperating fans or lights and all the other things we experience and accept that things won’t improve. So when you face the above next time, you know you can get them fixed or rectified. Typical habit of Indian crowd. You tear down the place from where you might get help. Anyway the railways realized it and used something that might sustain longer against the weird people. Once you know what your problem is, you can just send a SMS in the below format. You will get an SMS confirmation once the complaint is logged. 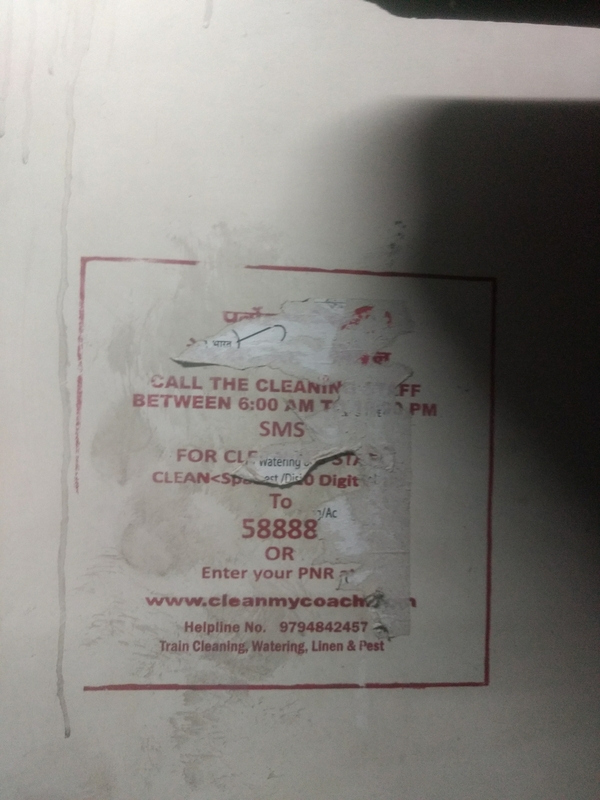 In some time you might get a call from the technician or cleaning supervisor regarding your coach and nature of problem. After attending your call, may be within 30 minutes someone will visit you and address your problem. Once the problem is addressed you will be asked to fill the feedback form and you will have to share the feedback code you received from the services center. Once your request is closed you will get a SMS to intimate about it. These services are not available between 10pm to 6am. 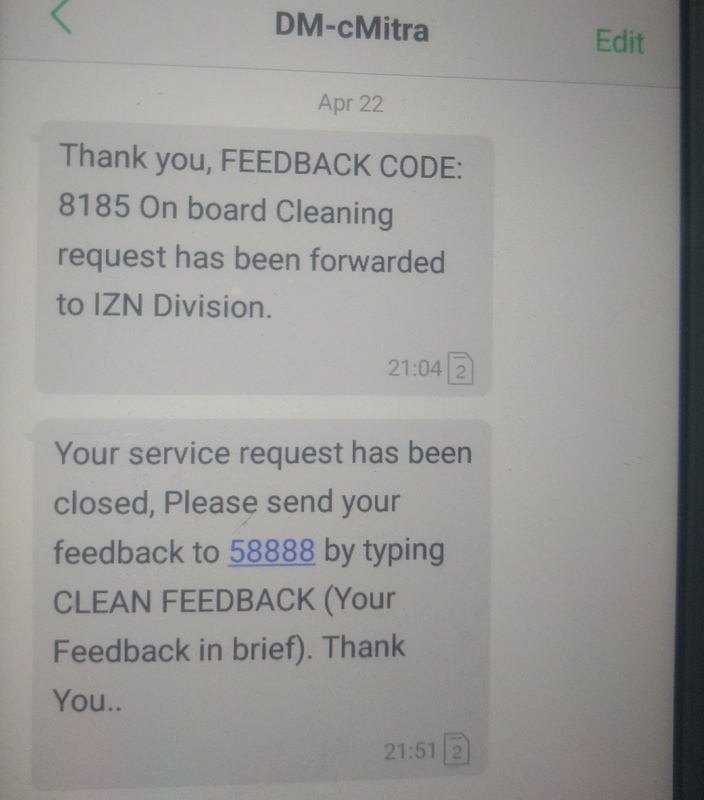 First time I requested for cleanliness, it was after 10pm so they sent a message stating the time of operations. 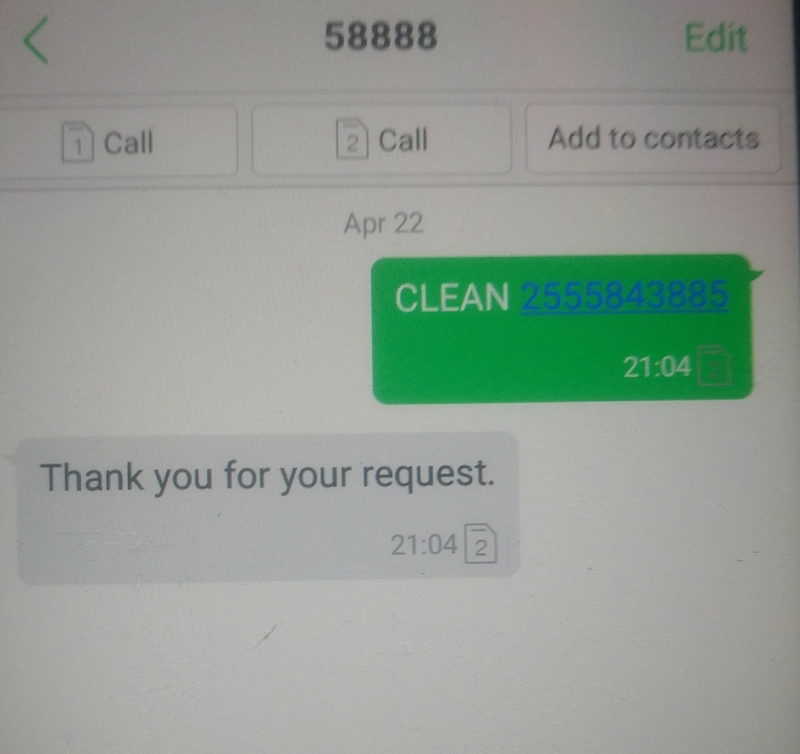 Second time I requested for cleanliness, it was acted immediately within 30 minutes. One of the traveller requested for bedroll, however he didn’t receive it. Not sure if that service is applicable in all trains for all classes. We were in sleeper class. I hope you will have better travel experiences after using this service. 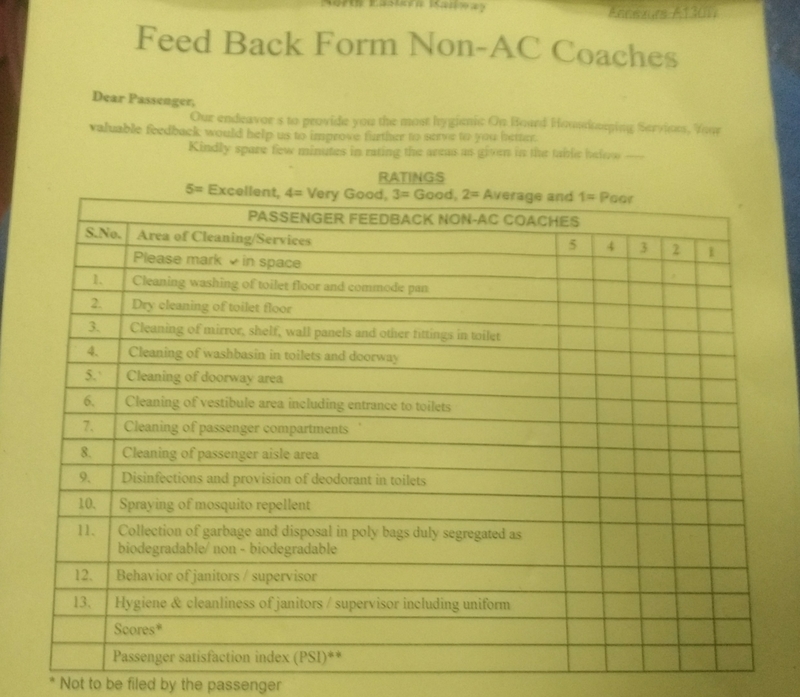 It is primarily the duty of the passengers to keep the railways clean, consider it as their own property and even then if there is something that needs to be fixed or cleaned then they must for sure complaint or use this service. Feel free to share your opinions or experiences in the comment section below.